So somehow I blinked and had 2 kids in school and between the 2 of them, they have 6 after school activities. Holy moly. We have been embracing the slow cooker (Click here for my slow cooker recipe arsenal) and easy 1 pot meals more than ever! 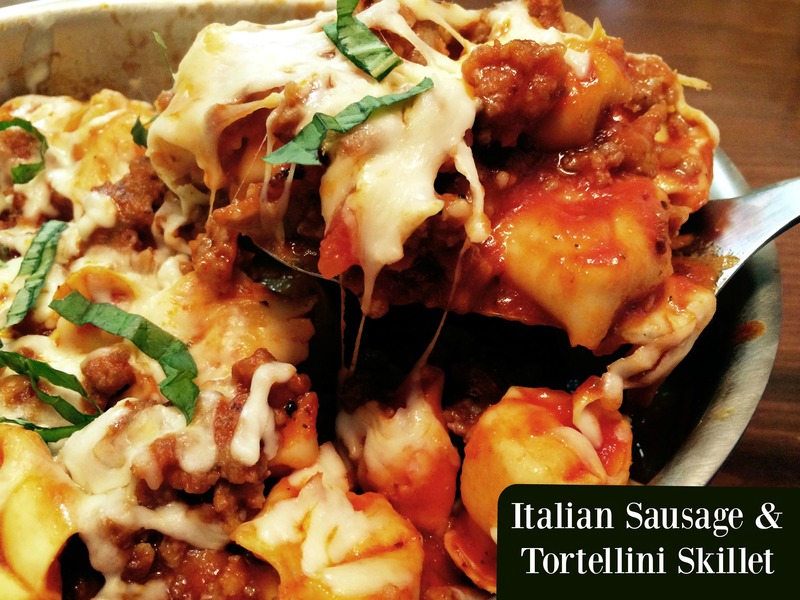 While I was browsing pinterest during basketball practice, (Mother of the year), I found this One Pot Italian Sausage & Tortellini Skillet and knew it would be a hit at our house. It was so easy and good! Loved the easy clean up too! Heat oil in a large, oven safe skillet. Crumble sausage & cook until no longer pink. 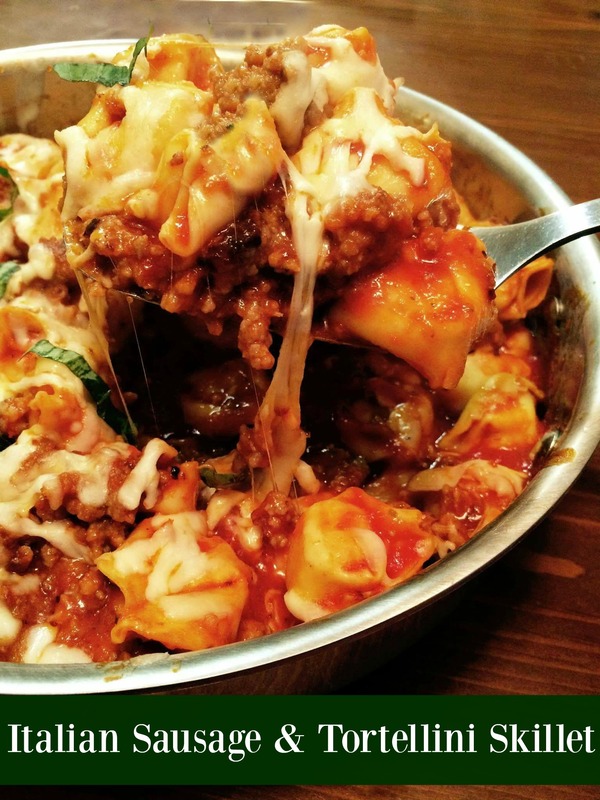 Stir in water, marinara, Italian seasoning and tortellini. Bring mixture to a boil, reduce heat to low, cover and simmer for 8 minutes, stirring occasionally. Turn broiler on while pasta is cooking. Garnish with fresh basil if desired, serve and enjoy!